A friend recently had a consultation for Carpal Tunnel Syndrome. Before her Doctor will entertain surgery, he suggested taking advantage of her hot tub. Why? It turns out there are a list of hot tub exercises for hands and wrists. Much like hot tub owners who enjoy a daily, therapeutic soak, individuals suffering from Carpal Tunnel or Arthritis can find relief while improving muscle tone and circulation. Hot tub exercises for hands and wrists focus on improving range of motion, joint flexibility, and reducing chronic pain. The list of exercises was very basic: Wrist Bend, Wrist Turn, Finger Curls, Finger Holds, and Thumb Circumduction. Repetitions are minimal at first, and all exercises are performed submerged to benefit from the heat. You can also find online, instructional videos from reputable sources including Hot Tub Yoga Hand Wrist Exercises. If you are suffering from Carpal Tunnel, Text Claw, Trigger Finger Syndrome, Arthritis and other hand or wrist ailments, talk with your Physician. Water therapy or hot tub exercises may just be what the Doctor ordered! 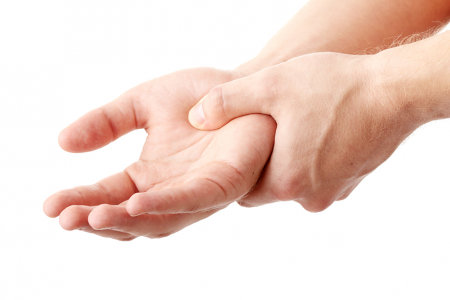 Suffering from text claw, carpal tunnel syndrome or arthritis? Discover hot tub exercises for hands and wrists. It might be the at-home therapy you've been seeking.